An open mic with an all female line up! 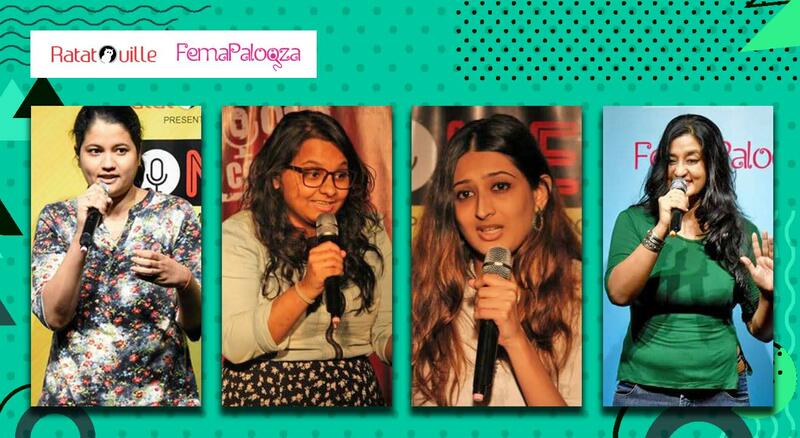 Some new, some old female comics come and try their hand at comedy. Come be part of someone’s first time! An evening of laughter and fun! you do not wanna miss this one! Devanshi is an upcoming stand up comedian who also writes for TVF. Kajol is an upcoming stand-up comedian who has done many featured shows as well. New to the scene, she is taking all open mics by storm, she has won FemaPalooza. Watch out for this funny lady, she will leave you in splits! Avanti is an up and coming open mic comic, who is not just a working woman but a mother and a wife too, watch her as she talks about all the struggles in her life. Winner of FemaPalooza, Avanti does not miss any opportunity to get on stage.